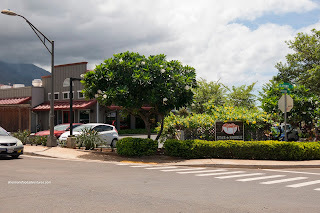 On our second day in Maui, we had planned to head over to Lahaina for some sightseeing and eating. 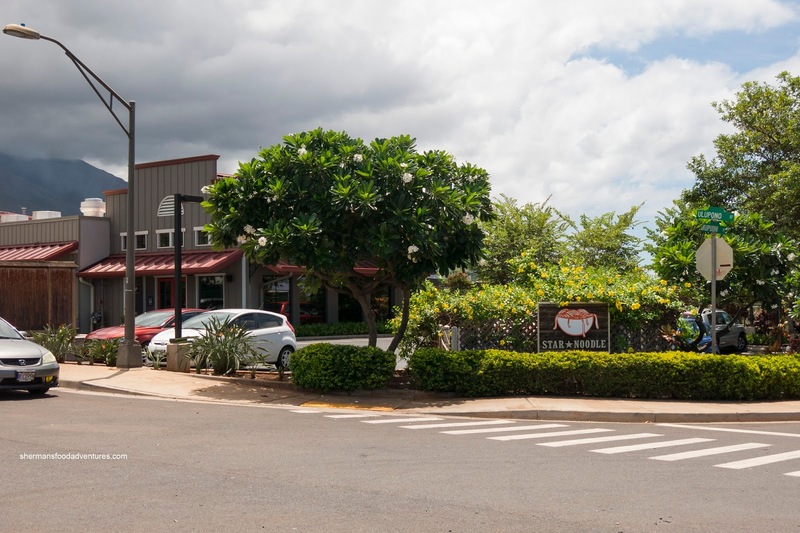 After a short search when I was scheduling our eats a few months back, there was only one place that stood out for lunch. 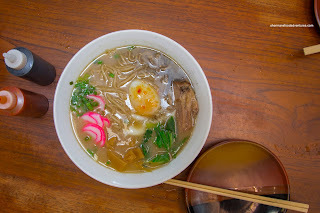 Star Noodle, opened by Sheldon Simeon (runner-up on Top Chef season), was both the most intriguing and most appropriate destination. Appropriate because it was an Asian food break from all the other stuff we were eating aboard the Pride of America. It was both good fortune and planning that we made a reservation and arrived early because the place was packed. 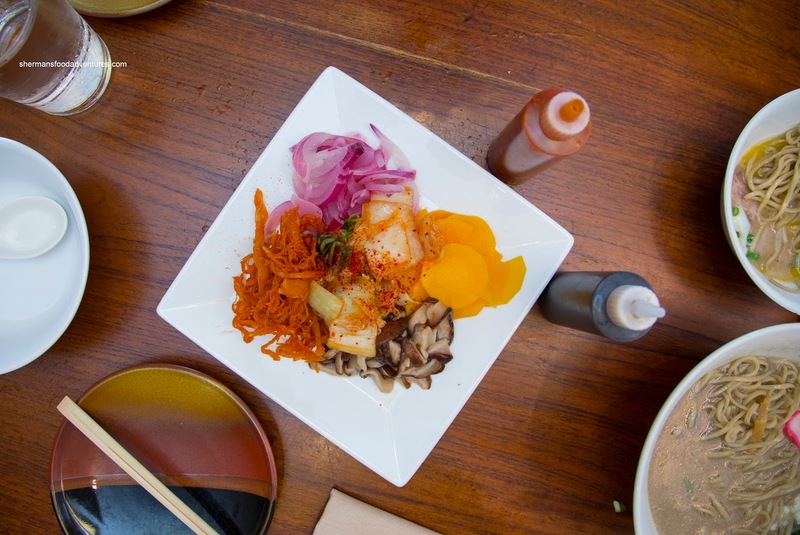 We decided to start off with the Assorted Banchan which consisted of shiitake mushrooms, oshinko, pickled onions, kimchi and cuttlefish. This was a pretty generous portion for $6.00. I most enjoyed the chewy and sweet cuttlefish as well as the crunchy oshinko. Next up, we shared the Pork Belly Bao with hoisin, cucumber, shiitake and scallions. 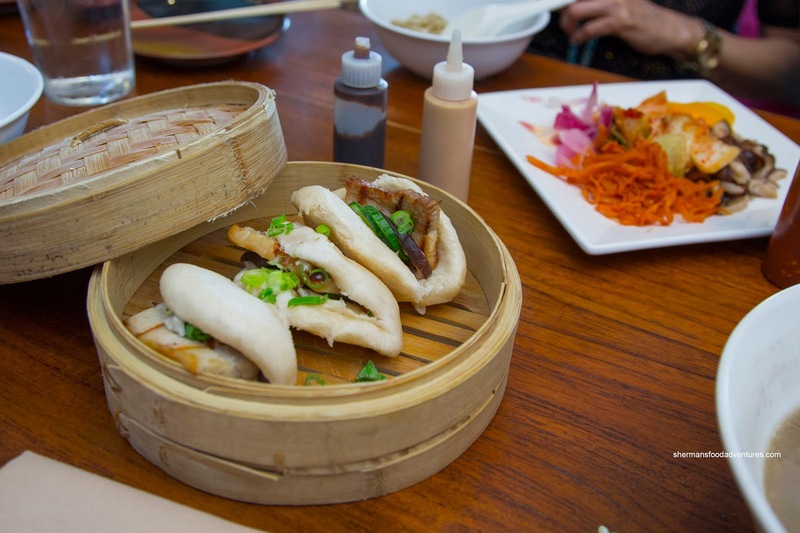 These featured a soft, while not crumbly bun with a buttery slice of pork belly. There was already hoisin inside, but we were provided with small squeeze bottles of hoisin and wasabi mayo. Impressively large, the Tempura Shrimp consisted of 2 oversized prawns that were coated with a crunchy, non-greasy batter. 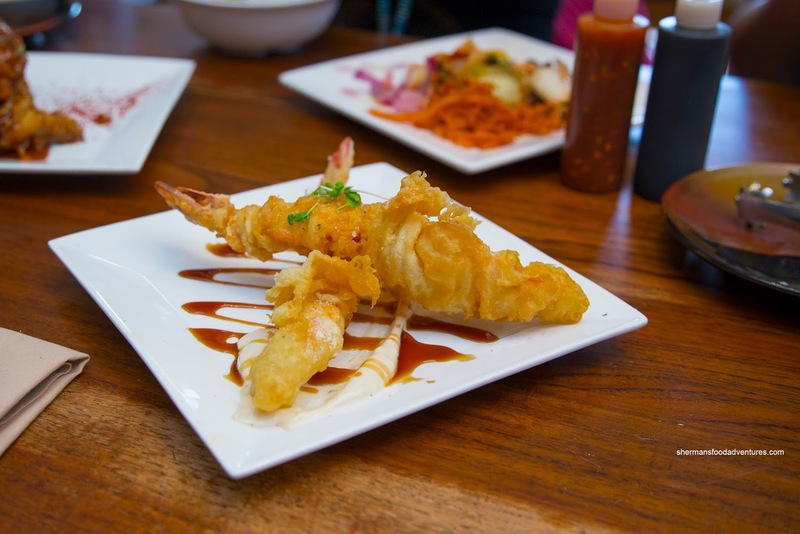 Exhibiting qualities of lobster, the shrimp were naturally sweet and aromatic. Served with a sweet mayo and sauce, this was a satisfying dish. 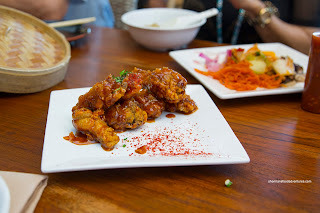 Continuing with the appies, we tried the Kimchi Wings that were fried aggressively where the exterior was super crunchy while the meat was a touch dry. The kimchi glaze was more sweet than spicy though. This was only an "okay dish" as the flavours and textures were not quite there. Onto our soup noodles, we had the Hapa Ramen with bamboo shoots, choy sum, pork, scallions and black sesame oil. I found the broth to have depth without being reliant on salt. It wasn’t too thick nor heavy, but it did have a nice aroma from the black sesame. As much as the pork was flavourful on its own, the meat could’ve been more fatty and tender. 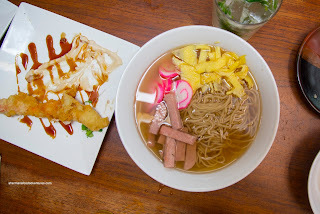 For the kiddies, they shared the Local Saimin with Spam, egg and fish cake. The sweet kelp broth was clean and light. I found the noodles to be toothsome and appealing. This was a much more refined version compared to the others I've had. For our fried noodles, we were influenced by the many dishes of Pad Thai at every other table. Turns out it was a good decision as it was spiked with plenty of fermented shrimp flavour as well as a nice tang. 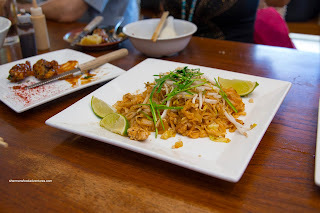 Although the dish was a touch wet, the noodles were still chewy and appealing. One thing I would’ve liked was more spice. 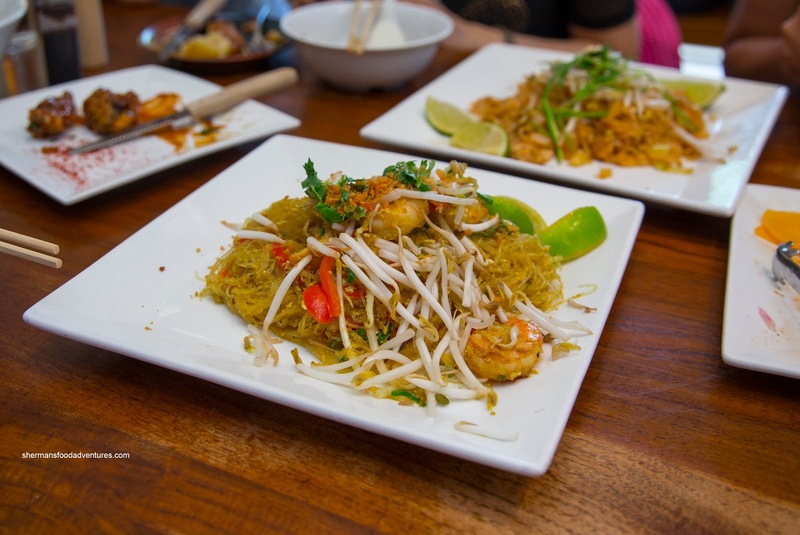 Prepared with mung bean noodles rather than rice vermicelli, the Singapore Noodles were impactful with balanced curry flavors. By virtue of the mung bean noodles, the texture was an appealing rubbery chewiness. 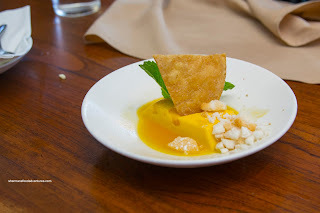 For dessert, we got the Mango Pudding which featured actual pieces of fresh mango which meant there was a natural sweetness as well as the classic mango pungency. Texturally, it wasn't as smooth and light as we would've expected, but it didn't make or break the dish. In the end, for all the items we tried, Star Noodle was pretty solid throughout. 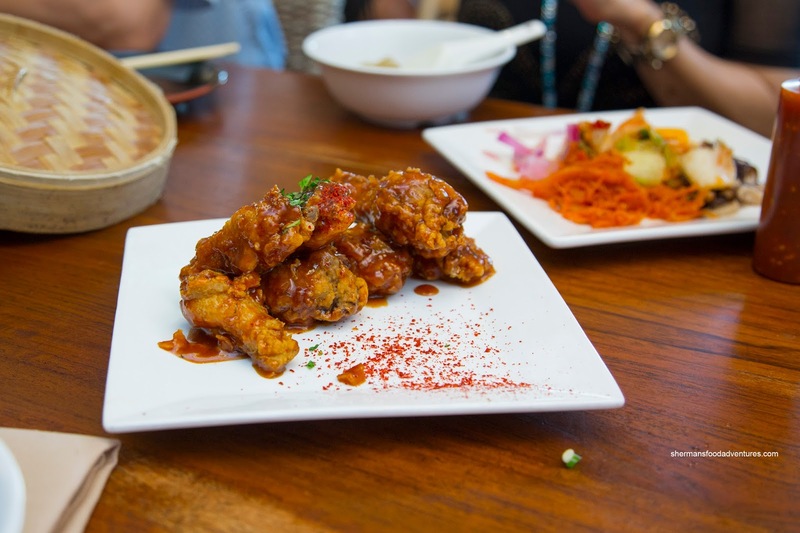 Obviously, there were some creative liberties taken, but if we ignored the "authenticity" argument (and they do not claim to be either), Star Noodle offers up decent eats at reasonable prices. Pretty good for a tourist town.